I recently just started consuming Arugula through smoothies. Now I find Arugula an underrated “super green”, people seem to be afraid to consume it because of its texture. 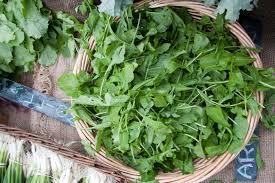 Arugula has almost a peppery taste and is part of the cruciferous vegetable family and is widely used in salads. I have started consuming it in smoothies and cooking and I love the taste. Let me tell you some of the benefits from consuming Arugula. Arugula is a Vitamin Galore leaf it is high in vitamins A and C, which are potent antioxidants and boost the immune system. Vitamin K, which is good for the brain and helps the body absorb calcium, thus promoting bone health. The phytochemicals in arugula help prevent many types of cancer. It’s also a mineral rich vegetable which is high in magnesium, iron, and copper, all essential for good health. It’s also a good source of dietary fiber that aids in proper digestion and elimination. Spinach also has all of the similar benefits as Arugula and its bright green leafs make them more appealing and the taste is not bitter but it also taste great and again a “super green” vegetable that should be consumed on a regular base. You maybe surprised to learn that if consumed on a regular base it may help us protect against inflammatory problems, oxidative stress-related problems, cardiovascular problems, bone problems, and cancers at the same time. Choose spinach that has vibrant deep green leaves and stems with no signs of yellowing. The leaves should look fresh and tender, and not be wilted or bruised. Avoid those that have a slimy coating as this is an indication of decay. 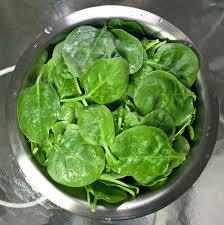 Do not wash spinach before storing as the exposure to water encourages spoilage. Place spinach in a plastic storage bag and wrap the bag tightly around the spinach, squeezing out as much of the air as possible. Place in refrigerator where it will keep fresh for up to 5 days. Avoid storing cooked spinach as it will not keep very well. So let me share a recent recipe of a yummy smoothie….. 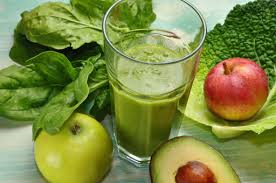 Into the blender add Spinach, Arugula and Almond milk and blend into a paste or until greens all blended together. Now add the Avocado, Red pear and blend together till you reach a smooth consistency if you choose to make it a bit more liquidy consistency than add more cold water to your preference. Thank you for reading the post….please drop your valuable comments or suggestions.. it really motivates me…Also, If you liked this post, please do read my other posts also.